Although growing mushrooms at home can be a very complex and scientific task, with the use of the correct books, videos, and information on the Internet then you will easily understand the whole process involved in growing your own mushrooms. 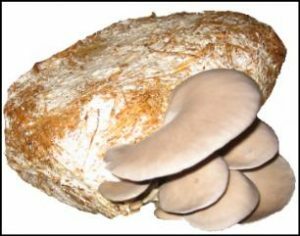 This website was set up to help people around the world learn how to grow your own mushrooms, providing links to products that will need to be purchased and providing other related mushroom growing information. To begin with you will need to decide on which type of mushroom you would like to grow. Some of the most popular home grown mushrooms are the Oyster, Shiitake, Lions Mane, White Button and the Portobello mushroom. Obviously there are a lot more mushrooms that can be easily grown from home, but those few seem to be the most popular, perhaps due to the ease of growing and the general taste of the mushroom. After choosing on a mushroom you will need to read up on its specific growing requirements, as each mushroom will usually have its own unique growing requirements. You will need to find a substrate, which is what the mushroom will be grown on (in the Wild they grow on wood and other natural resources). The most common substrates for growing mushrooms at home are sawdust, paper, and other wood-based products. Once you have the substrate you will need some sort of a container, such as a plaster bag. You will also obviously need some mushroom spawn, which can be purchased online. If you are serious about growing mushrooms yourself, either for your own personal consumption or to sell as a business then it is important that you fully understand how to be able to grow mushrooms – and the best way is by purchasing either of Paul Stamets’ books, Growing Gourmet and Medicinal Mushrooms or The Mushroom Cultivator. Both books are considered to be the best books written on the subject of growing mushrooms. You can purchase these books by clicking on the text link above or by using the image links on the right-hand side of the page.